Navigation using celestial objects is a skill that was practised long before humans roamed the Earth; animals used it, too. Navigation using celestial objects is a skill that was practised long before humans roamed the Earth. 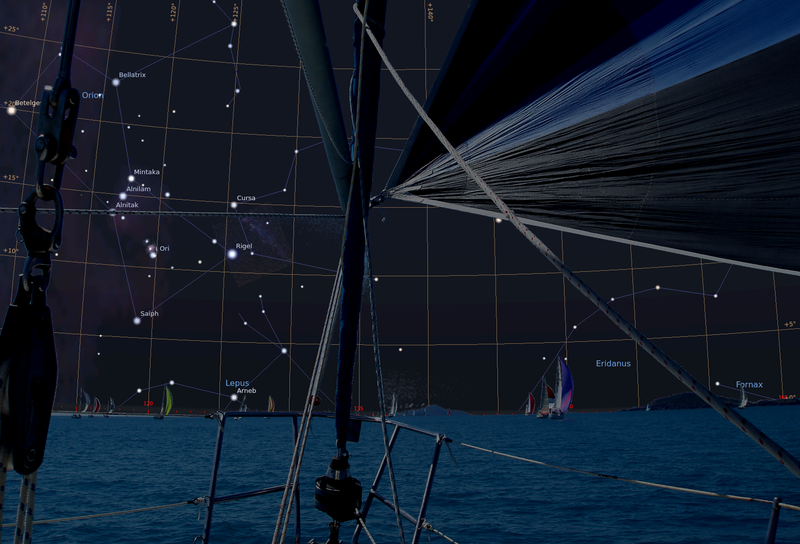 Today, we know numerous examples of animals who find their course using the day or night sky. Bees and monarch butterflies navigate by the Sun (Sauman et al., 2005), just like starlings (Kramer, 1952). 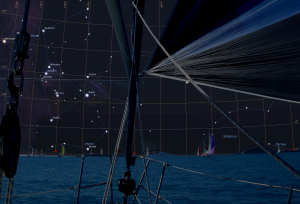 Even more impressive is the ability of birds (Emlen, 1970; Lockley, 1967; Sauer, 1958) and seals (Mauck, Gläser, Schlosser, & Dehnhardt, 2008) that identify the position of stars during night-time for steering a course. However, in our modern civilisation with intense illumination of cities, strong lights can be mistaken for celestial objects. For instance, moths use the moon to maintain a constant course, but if confused by a street lamp, they keep circling around it until exhaustion (Stevenson, 2008). 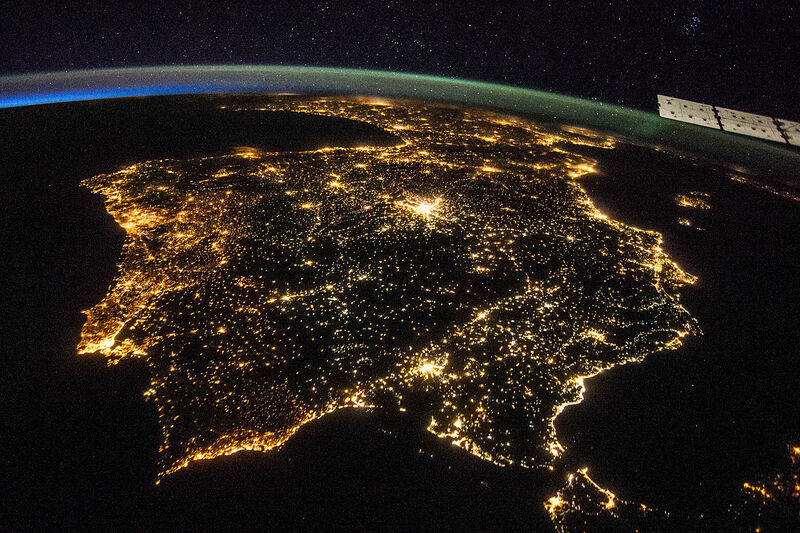 Hence, light pollution is a serious threat to many animals. The magni¬tude of the problem is shown in Figure 1. Among the first humans to have navigated the open sea were the aboriginal settlers of Australia some 50,000 years ago (Hiscock, 2013). The oldest records of seafaring in the Mediterranean date back to 7,000 BCE (Hertel, 1990), done on boats or small ships that were propelled by paddles only. The routes were restricted close to the coast, where landmarks helped navigate to the desired destinations. To cross larger distances, a propulsion mechanism independent of muscle force was needed. Therefore, the sail was one of the most important inventions in human history, similar in its significance to the wheel. Around the middle of the 4th millennium BCE, Egyptian ships sailed the eastern Mediterranean (Bohn, 2011) and established trade routes with Byblos in Phoenicia, the biblical Canaan, now Lebanon. This is about the time when the Bronze Age began. Tin was an important item in the Bronze Age, and tin sources in central and western Europe triggered large scale trade (Penhallurick, 1986). 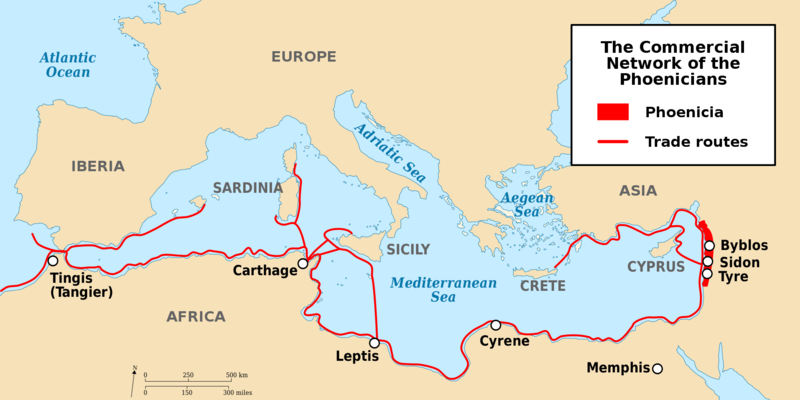 Transportation over large distances inside and outside the Mediterranean was accomplished by ships. Soon, the navigators realised that celestial objects, especially stars, can be used to keep the course of a ship. Such skills have been mentioned in early literature like Homer’s Odyssey which is believed to date back to 8th century BCE. The original sources are thought to originate from the Bronze Age, in which the Minoans of Crete were a particularly influential people. They lived between 3,650 and 1,450 BCE in the northern Mediterranean region and sailed the Aegean Sea. Since many of their sacral buildings were aligned with the cardinal directions and astronomical phenomena like the rising Sun and the equinoxes (Henriksson & Blomberg, 2008, 2009), it is reasonable to believe that they used this knowledge for navigation, too (Blomberg & Henriksson, 1999). The Minoans sailed to the island of Thera and Egypt, which would have taken them several days on open water. The Greek poet Aratos of Soli published his Phainomena around 275 BCE (Aratus, Callimachus, & Lycophron, 1921), describing in detail the positions of constellations and their order of rising and setting. This was vital information for any navigator to maintain a given course. He would simply have pointed his ship at a bearing and be able to keep it, with the help of stellar constellations that appeared towards that heading. The azimuth of a given star when rising or setting remains con-stant throughout the year, except for a slow variation over 26,000 years caused by the pre¬cession of the Earth axis. Interestingly, Aratos’ positions did not fit the Late Bronze and Early Iron Age but suited the era of the Minoan reign (Blomberg & Henriksson, 1999) some 2,000 years earlier. Around 1,200 BCE, the Phoenicians became the dominating civilisation in the Mediterranean. 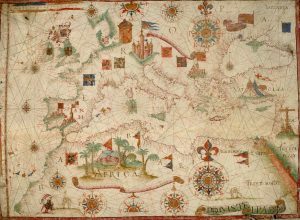 They built colonies along the southern and western coasts of the Mediterranean and beyond. Among them was the colony of Gades (now Cadíz), just outside the Strait of Gibraltar, which served as a trading point for goods and resources from northern Europe (Cunliffe, 2003; Hertel, 1990). Several documented voyages through the Atlantic Ocean took them to Britain and even several hundred miles south along the African coast (Johnson & Nurminen, 2009). The Greek historian Herodotus (ca. 484 – 420 BCE) reports of a Phoenician expedition funded by the Egyptian Pharaoh Necho II (610 – 595 BCE) that set out from the Red Sea to circumnavigate Africa and returned to Egypt via the Mediterranean (Bohn, 2011; Hertel, 1990; Johnson & Nurminen, 2009). The sailors apparently reported that at times the Sun was located north (Cunliffe, 2003), which is expected after crossing the equator to the south. All this speaks in favour of extraordinary navigational skills. 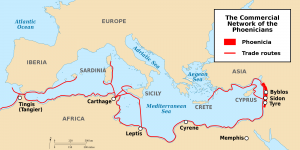 After the Persians conquered the Phoenician homeland in 539 BCE, their influence declined, but was re-established by descendants of their colonies, the Carthaginians. 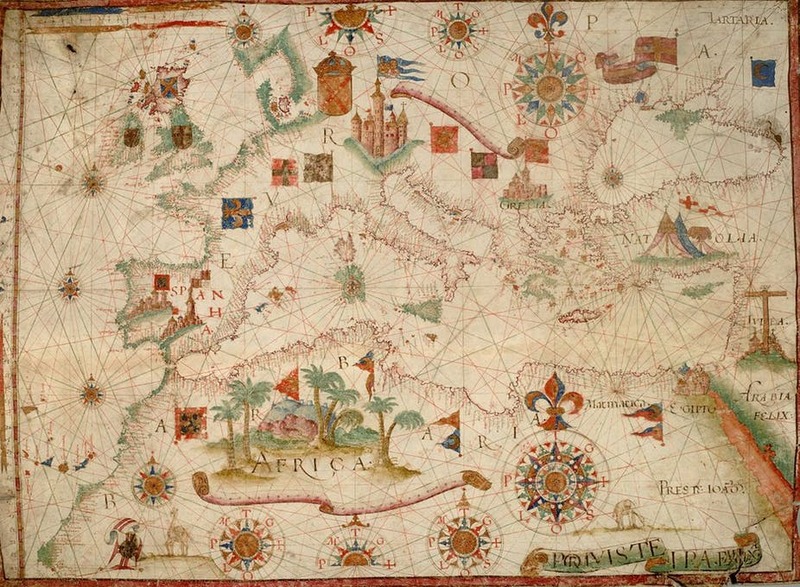 A very notable and well documented long distance voyage has been described by ancient authors and scholars like Strabo, Pliny and Diodorus of Sicily. It is the voyage of Pytheas (ca. 380 – 310 BCE), a Greek astronomer, geographer and explorer from Marseille who at around 320 BCE apparently left the Mediterranean, travelled along the European west coast and made it up north until the British Isles and beyond the Arctic Circle, during which he possibly reached Iceland or the Faroe Islands that he called Thule (Baker & Baker, 1997; Cunliffe, 2003; Hergt, 1893). 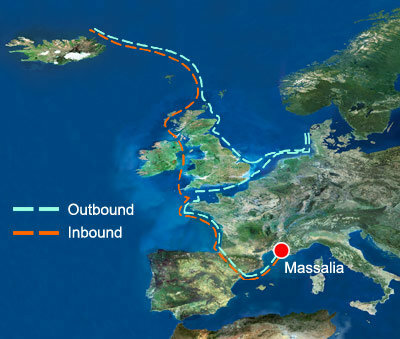 Massalia (or Massilia), as Thule was called then, was founded by Phocean Greeks around 600 BCE and quickly evolved into one of the biggest and wealthiest Greek outposts in the western Mediterranean with strong trade relations to Celtic tribes who occupied most of Europe (Cunliffe, 2003). Pytheas was born in the Late Bronze Age, when the trade with regions in northern Europe was flourishing. 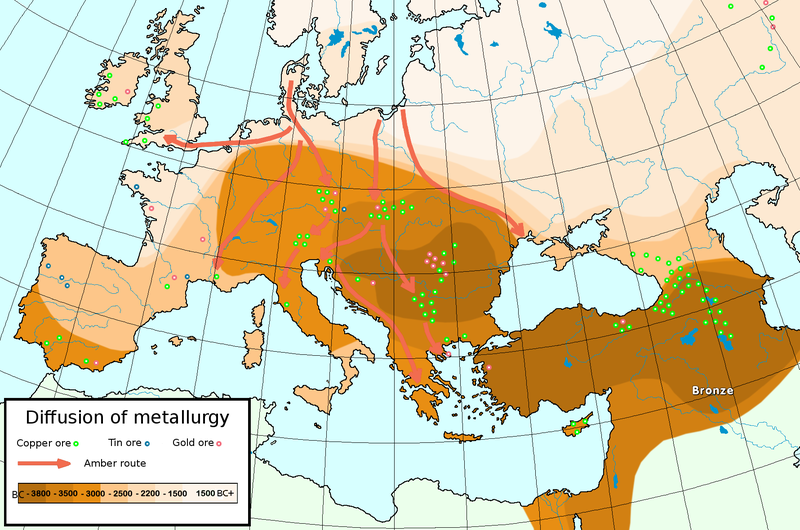 Not much was known in Greek geography about this part of the world, except that the barbarians living there mined tin ore and delivered the precious amber that the whole Mediterranean so desperately sought. Perhaps, it was out of pure curiosity that Pytheas set out to explore these shores. 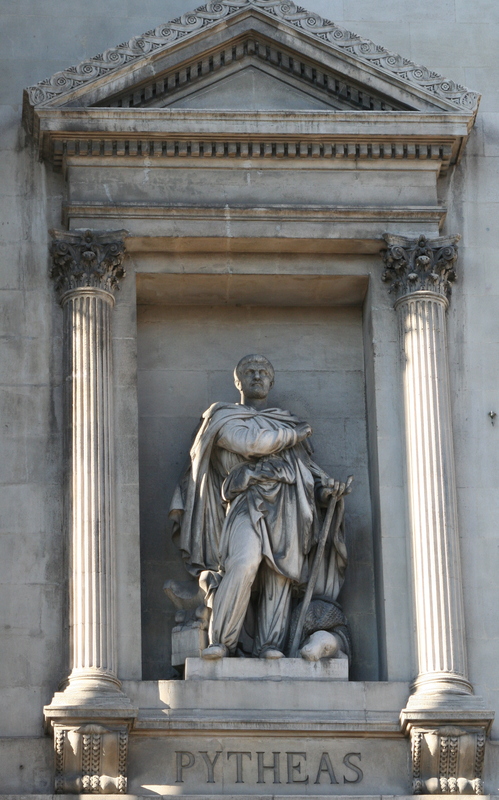 His voyage was a milestone, because Pytheas was a scientist and a great observer. He used a gnomon or a sundial, which allowed him to determine his latitude and measure the time during his voyage (Nansen, 1911). He also noticed that in summer the Sun shone longer at higher latitudes. In addition, he was the first to notice a relation between the tides, which are practically absent in the Mediterranean, and the lunar phases (Roller, 2006). Originally published by OER Commons, astroEDU 1645 (2017), DOI:10.14586/astroedu/1645, under the terms of a Creative Commons license. This entry was posted in Ancient, History, Maritime, Mediterranean. Bookmark the permalink.